Bill Gates invites you over to get your input on his latest idea. Hell yeah, you're ready to share your ideas! You accept even though you have no idea what will happen. This describes your attitude perfectly! Uh, no. I follow the rules. Maybe. It depends on who told me no. Uncertainty is your friend. You take risks. No way am I falling. I'll wait until I get it right. I don't like taking risks but I will to get to where I want to go. I take risks all the time. Falling is part of the risk. This could be your motto. No way. I'm good the way I am! Change is scary but I'm in! Your response to a party invitation. Yep, that's me. I'm scared of parties. I might be tempted to stay home, but I'd grab a friend and go. Huh? People do this? I'm the life of the party! You see vulnerability as a plus. Um, maybe? Can you tell me more? Being vulnerable makes me feel too...vulnerable. I enter into my relationships wanting to let my guard down. Closeness works for me. 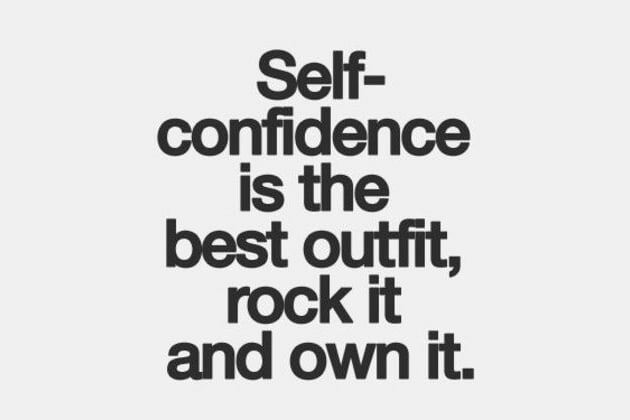 You're a confident one--ready to take on the world! No challenge is too big for you, even if success is not guaranteed. Rock on! You sometimes feel a surge of confidence and then you become a rock star. But your past sometimes causes self-doubt. Move on and face your fear--you have what it takes! Confidence is just out of your reach. You second guess yourself and hang back. No more, it's time to believe in you! Rockstar or wimp? Donald Trump or Olive Oyl? Take the quiz to find out how confident you really are!